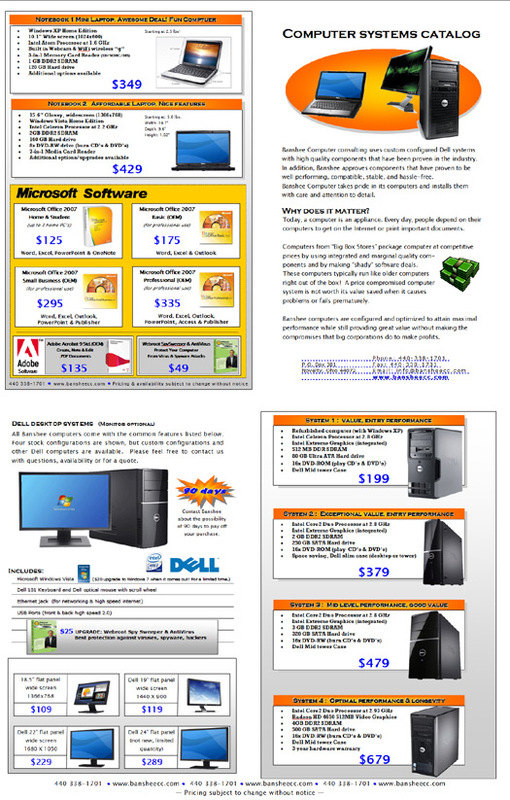 BANSHEE has formed an alliance with Dell computers and is selling their complete line of home & office computer products. Through this partnership, BANSHEE customers are qualified for sales incentives that Dell direct customers are not otherwise able to get. Dell computers are built using high quality components. All hardware used is rigorously tested for performance, compatibility, stability and longevity.